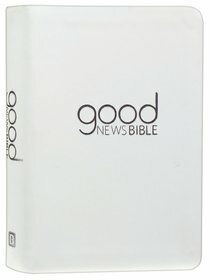 About "GNB Good News Bible Compact White Gift Edition (Anglicised)"
This stylish gift edition Bible comes in a slip-case with a ribbon marker and presentation page and makes a great present for occasions such as baptisms or christenings or a lovely Bible for personal use. Now featuring the updated logo, this distinctive and stylish gift edition of the Good News Bible features the popular text of the Good News translation and a hard wearing and soft-touch cover. This edition is ideal as a gift for weddings, baptisms or other special occasions.This white gift edition with silver edging comes in a slip-case with a ribbon marker and presentation page and makes a stylish gift.